Celebrity rockers Matthew and Gunnar Nelson announced their rock band NELSON is confirmed to perform at the Third Annual ROCKLAHOMA Music Festival in Pryor, Oklahoma on Thursday, July 9, 2009. The internationally known rock group NELSON stars identical twin brothers Matthew and Gunnar Nelson who have written and performed NELSON's #1 Billboard Mega Hit "Love and Affection", and top Ten Singles "After the Rain", and "More Than Ever". NELSON has sold over 4 million albums worldwide. NELSON, the original rock band (and a staple of MTV) recently reunited touring for the first time in 15 years. VH1 recently ranked NELSON's "Love and Affection" as one of the "100 Greatest Songs of the '90s". "We're excited to be back on the road performing with our original rock band, NELSON," enthuses Gunnar Nelson. "And to play at ROCKLAHOMA, which is one of Rock's premiere festivals, is a wonderful opportunity to reintroduce NELSON to the rock fans". 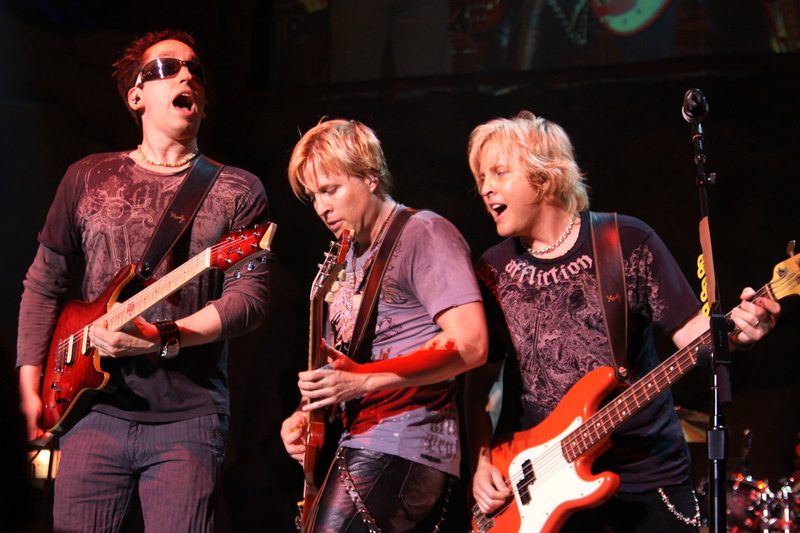 "ROCKLAHOMA is the perfect event for NELSON to perform with original drummer Bobby Rock as well as guitar virtuoso Neil Zaza," adds Matthew Nelson. "We're thrilled to be a part of this premiere rock festival!" Rocklahoma tickets are available online at http://www.feverfest.com or charge by phone at 1-866-310-2288. 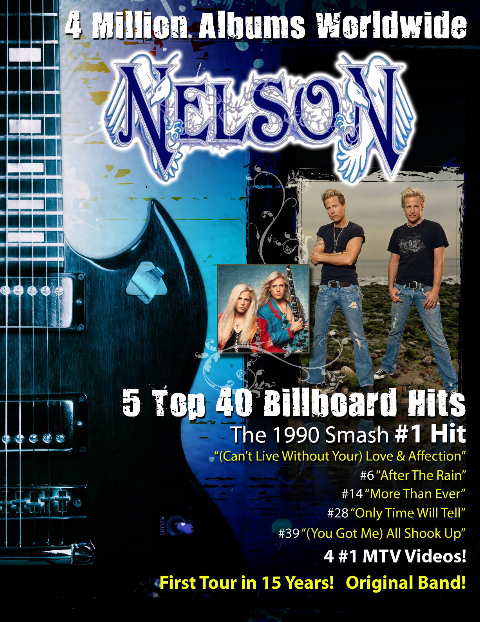 Visit the official NELSON website at http://www.NelsonRockBand.com for more info. To arrange press interviews with Matthew or Gunnar Nelson, please contact Liz Motley at (786) 897-7414.